This enormously practical guide includes everything from essential techniques such as map and compass work to the skills needed for more remote wilderness journeys – such as how to ford rivers safely and how to choose a route through untracked terrain. As a gear advisor this book is unequaled.You'll find the last word on: how to choose packs and footwear – and make sure they fit what clothing to take on the trail tents tarps stoves water purifiers and other gear gps cell phones and other electronic devices and much more. 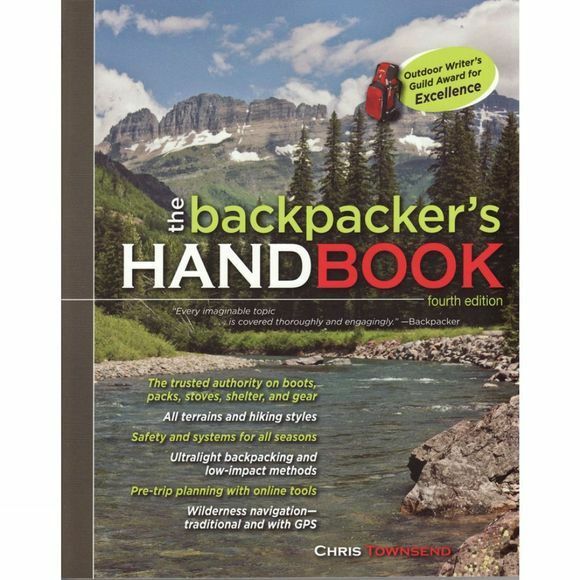 Now in its third edition the backpacker's handbook also covers desert hiking ultralight backpacking and adventure trekking in distant corners of the globe. Indeed there is little about backpacking Chris Townsend does not cover. This trusted reference will prepare you for the challenges and excitement of backpacking the wilderness. 'A clear and comprehensive primer on backpacking gear.